These days I am concentrated in improving my English skill; particularly in listening and writing. Actually now I'm under increasing pressure because the score of the result of my last TOEFL exam was bad rather than insufficient. So I decided not to code programs too much as my hobby, but to write English essays more and more. I have less time to do all things what I like than usual. 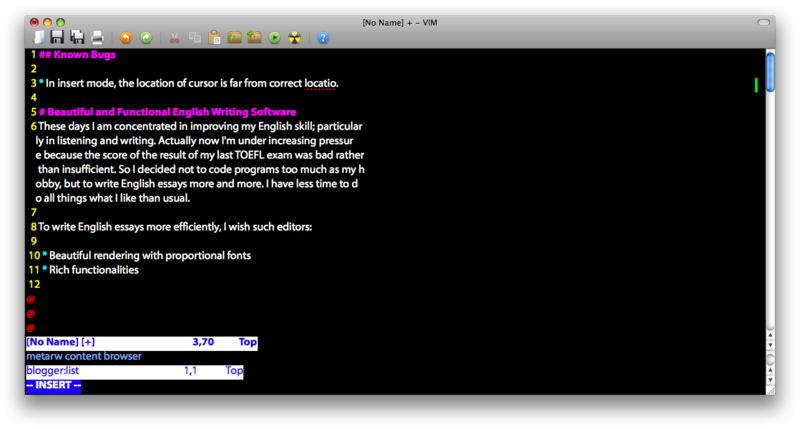 When I mentioned about "rich functionalities" in the context of text editing, it stands for Vim. 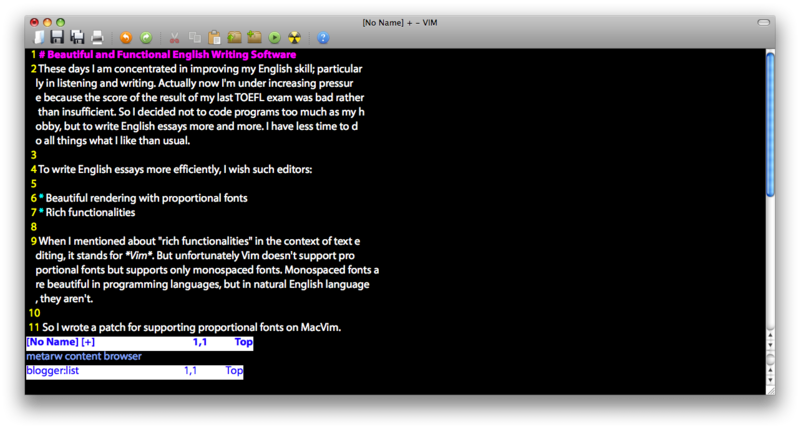 But unfortunately Vim doesn't support proportional fonts but supports only monospaced fonts. Monospaced fonts are beautiful in programming languages, but in natural English language, they aren't. So I wrote a patch for supporting proportional fonts on MacVim. First of all, fetch the MacVim source and build plain Vim. Then fix its font config. In insert mode, the location of cursor is far from correct location. Handling screenwidth. 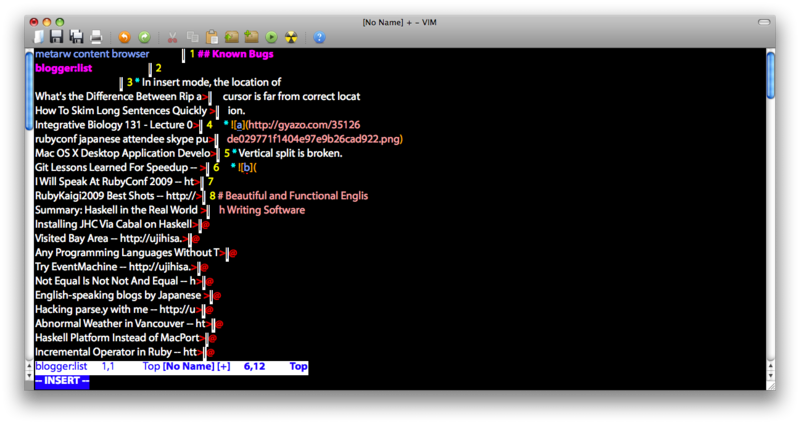 Now Vim wraps in a strange position. Now I don't have time to fix the problems. What's the Difference Between Rip and Bundler?